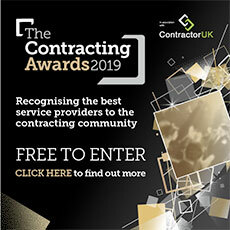 Many ContractorUK readers will know who we are and what we do at WTT Consulting, but for the unacquainted, we are a first and foremost a firm that specialises in services to contractors, writes the firm’s managing director Rhys Thomas. That ‘service’ element is worth remembering because we’re better known to many for our tax firm, and our law firm, both of which sit under the ‘WTT’ name alongside our Co-Operative (the UK’s first for contractors). But it’s really for assisting with these tax and legal matters -- of the past, present, as well as the near and long-term future, that we crop up on ContractorUK’s Forum and the like. Perhaps our most active area in terms of this ‘past’ that we assist on is for those clients who have fallen victim to mass marketed loan-based arrangements in the crosshairs of Loan Charge 2019. Regular readers of this website will know all too well the damaging effect this has had and continues to have on the industry. Some contractors have been subject to more than ten years of HMRC enquiry, conducted via long delays, inconsistent policy, aggression, incoherent legal analysis and error. Those subjected to such treatment are confused, isolated, sometimes angry but most importantly, lacking clarity on how best to move forward. To counteract this obfuscation, we formed WTT Big Group over three years ago with the intention of finding a practical and amicable settlement with HMRC. Since then we have met senior HMRC officials more than 20 times to discuss practical routes to resolution. Each time we have received encouraging promises of action and engagement. Each time the outcome is baffling owing to an absence of sanction from HMRC policy makers that means officials are unable to agree any reasonable resolution. Nevertheless, in the pursuit of legal justice, tax fairness and service to contractors -- as nodded to at this piece’s outset, we have continued with our efforts. To frustrate matters though, we are beginning to see lenders (and/or their appointed agents) threaten to recall loans that are already being subjected to tax by HMRC. The net effect if this were to happen sees the contractor taxed on amounts that are not actually their own. With the mounting pressure of the seemingly endless list of demands and enquiries from all directions, it is now essential that contractors must adopt a comprehensive strategy that deals with the enquiry, the loan charge and the loan itself. Paying back the loan may have the benefit of removing liability to the 2019 charge. While this may be an option for those who don’t have enquiries, those who have received enquiry notices, COP8s or discovery assessments, removing the loan charge is not the end of the story. Even if the loan charge disappeared tomorrow, HMRC will be legally obliged to continue enquiries and resolve them, possibly via tribunal. Further, what happens with the money? If this comes back to you, it’s taxable. If you pay a small percentage of the loan and the remainder is written off, that’s not repayment. This option may remove the immediate loan repayment/tax issue but creates different tax problems. For these and other reasons, this route is not recommended for most. Paying the loan charge is not reaching settlement with HMRC. To do that you must agree a final position by way of contract or agreement. A contract settlement is available via terms published in November 2017. These had a deadline of April 5th 2019, but that appears to have been extended by HMRC in a statement to parliament on January 30th. If certainty and a degree of finality is your short-term goal, settlement should be considered. Be clear that settlement at this stage is not a negotiated position but rather accepting HMRC’s analysis that loans should be taxed as income and that the recipient is liable. While instalment terms for paying the tax are available, sometimes after a struggle, HMRC does expect to be paid reasonably quickly. This option can be combined with the loan charge to manage the overall cost. However, be careful and get advice. WTT Big Group was established to challenge HMRC’s analysis and seek an alternative settlement based on terms which are fair. While we had hoped to avoid it, we have begun the litigation process in order to understand HMRC’s final analysis and subject that and our own to a judge’s arbitration. The WTT Big Group is substantial and costs are shared and therefore -- per capita -- reduced. We have worked with the same barrister for three years, developing our strategy and now have an in-house law firm to support him. The analysis here is simple and follows previously decided cases. If HMRC wishes to tax the loans as income, they need to recognise that the income originated from an employer and that PAYE rules -- mandatory for employers to operate -- makes employers primarily responsible, not contractors as employees. This was made very clear in the “Rangers” decision by the Supreme Court. There are circumstances in which an employers’ liability can be transferred to an employee, but they are limited. We hold extensive evidence showing that many intermediaries were clearly saying to contractors that all UK tax was being paid on their behalf. For this reason, our view is that the liability cannot be transferred from employer to employee at this stage. As above, it is essential as part of this strategy to then go on and challenge the Loan Charge. By application, the above analysis forms the basis of an argument which seeks to exclude payments received from being recognised as a liability under the loan charge by quite simply asking the question -- ‘How can, for tax purposes, there be a loan and income in the same payment?’ Suffice to say our strategy for challenge seeks to deal with both the loan charge and the enquiries. Finally, by using a similar premise, loan demands from third parties can also be resisted and our work to date with law firms on the Isle of Man has laid the foundations for this. So in a nutshell, we have a viable challenge, represented by tax and legal professionals backed by a strong lobbying effort pursuing a coherent strategy for defending our clients against the Loan Charge, the underlying liability and prospective loan demands, which is underway right now. We think it crucial that we deal with enquiries and the loan charge head on, through sensible tax analysis upon which an independent judge can rule. We have tried to reach a negotiated answer but HMRC is not interested -- despite their statements to parliament and others. We therefore have to remove the ability of HMRC to be judge, jury and executioner, and we look forward to the anticipated first court date in a few months. Lastly, we were asked by ContractorUK to not only outline our legal challenge against HMRC’s 2019 Loan Charge and how we got here, but to also comment on why we believe this challenge may be different from others. The simple answer is that our challenge deals with all aspects of the problem for contractors -- the Loan Charge, the underlying liability and the loan repayment demands, which we believe is unique. Secondly, it has considerable numbers of well-informed and advised contractors who are cognisant of the challenge ahead and who have all the evidence needed to make a compelling case. So Big Group contractors moving forward together, as one concerted unit, is incredibly powerful and we strongly think, enough to change the landscape and level the playing field once and for all.